2012 was a very good year for Activision and Ubisoft, but Electronic Arts struggled to hold its ground. Measuring market share is a bit of a dicey business, because services that measure such things look only at sales of boxed games through conventional retail channels. Digital sales, despite their ubiquity these days, are excluded, so what EA sells through Origin, for instance, or what Ubisoft moves through Uplay (don't laugh) aren't part of the picture. On the other hand, it's arguable that retail game sales are a snapshot that represents the state of the industry as a whole, so while the numbers may not be dead on, the relative state of publishers compared to one another is accurate. In any event, data compiled by Ubisoft from the NPD Group, GfK Chart Track and Nielsen indicate that Activision's dominance of the videogame industry actually grew in 2012, leaping from 15.7 percent of the market in 2011 to 19.5 percent in 2012, while EA sunk deeper into second place, going from 19.7 percent in 2011 to 18.4 percent last year. 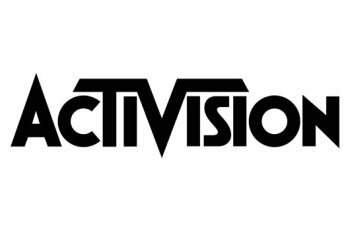 Activision's climb can be largely attributed to the continuing success of the Call of Duty franchise, which was also ranked as the most valuable game series of this console generation; I suppose something similar could be said about EA's fortunes and the disastrous Medal of Honor reboot. Other publishers who gained ground in 2012 are Ubisoft, which claimed third place with 11.2 percent, up from 8.8 percent the previous year; Take-Two, which moved from 4.8 percent to 6.4 percent; and Capcom, with 2.4 percent of the market, doubling its 1.2 percent share in 2011. Microsoft also made a gain, albeit a tiny one, from 4.8 percent in 2011 to 5.0 percent in 2012. The "cumulated worldwide sales value" of franchises on the Xbox 360, PS3, Wii and PC from 2005 to 2012 is also an interesting list. First place is no surprise (especially since I already told you what it is) but some of the other rankings are unexpected. World of Warcraft's low ranking reflects that these numbers are based solely on boxed retail sales, but Lego ahead of Grand Theft Auto? Need for Speed thumping Elder Scrolls? And Wii Fit crushing just about everything? That last one makes sense, I suppose, since the "value" would include the cost of the Wii Balance Board, but some of these others I find legitimately confusing.